"whogivesascrap?!" is an online community of crafters who LOVE to indulge in our passion which obviously is paper crafting! Each of our talented ladies will be creating projects based on their word for the New Year! Connie Can Crop (that's me! ), is the beginning of this Special hop! 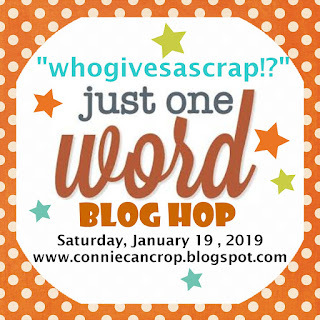 Do you have a word for 2019? Instead of a resolution, we chose a word that we would embrace for the year. One that holds special meaning to us. 2018 has tested my patience in more than one way! Between health issues, family challenges, job challenges and even friendships being tested to the end...I could not find a word more fitting for 2019. I need to be reminded to stop, take a deep breath, and BREATHE! Great page, uses a lot of fun techniques. Love your LO of your word! Cute layout! Love how you tore some of the edges of the paper! Great word. I need to just BREATHE sometimes too. I need to breathe more.... love word and layout. Colors are great! Beautiful layout and wonderful choice for your word of the year. Your layout is beautiful! Choosing a word of the year is thing I have done before. It seemed to really help. That was before I started scrapping, so I just wrote it on a fancy piece of paper and taped it to a kitchen cupboard!!! Beautiful layout. I love the torn paper technique. My word is PATIENCE for 2019! Our words go hand in hand! 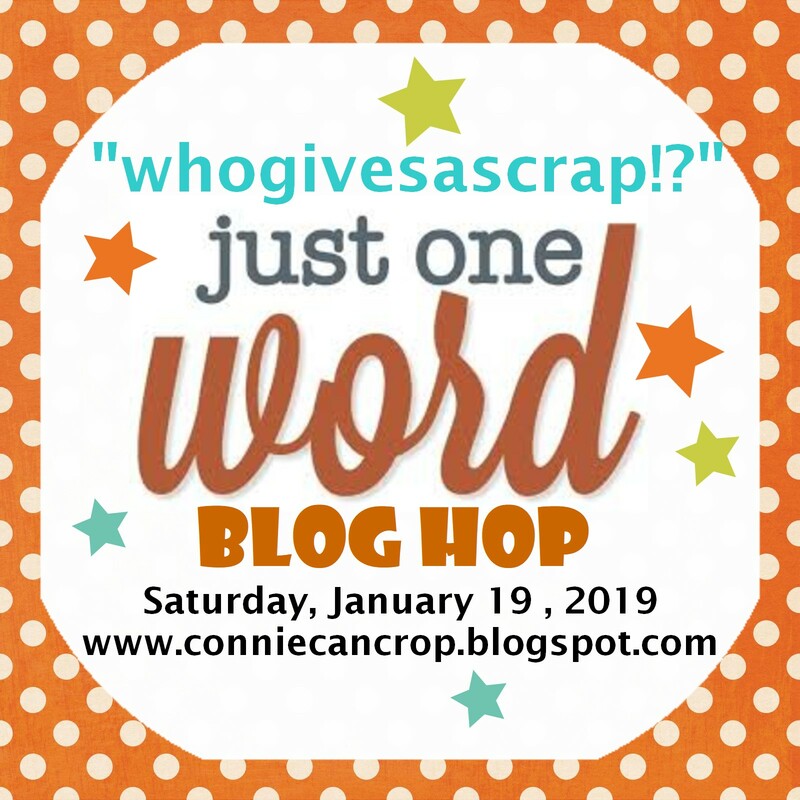 This is such a fun blog hop! Your layout is beautiful! I love the green! Thanks for the inspiration and for the opportunity to win! I was sitting here feeling sorry for myself for so many dumb reasons. Looking at FB. And saw your post for this hop. I feel better having something to do! My word, which has been coming to my mind for a few months now..is MINDFUL. Not that i am doing that well with that, am I! Maybe I should add "breath" to my process of living. B/c sometimes, I realize i am holding my breath...too much. I really like the peaceful blue color and all of the textures on this page. Thanks for publicizing the hop..and giving me something to admire and to stop fussing in my head. I appreciate you!! My word is Vibe. I have been too reclusive of late and decided this year I need to find, feel, and live my vibe! I really love your layout. The textures of the ripped papers and the flowers give it an added touch! That would be my word for 2019 as well. We so often get caught up in all the worries of life that we forget to just take a moment and remember that it will all (most of it anyway) pass in time. Your layout is so hopeful and positive Connie! Cute layout Connie. I’m totally going to scraplift this layout! Beautiful layout! I love the texture and dimension! My word for 2019 is 'kindness'. Great word to choose for the year. Love the layout and the colors you used. Wonderful layout and I like your word for 2019! Your layout is so nice. Your word is a good one. Connie, love the tearing technique you did on your page, very cool! The word you chose is a MUST! Keep inspiring! Beautiful layout. I like your word too.